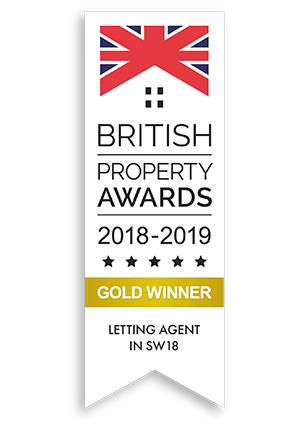 Seymour Green Estate Agents | successfully selling and renting properties across South West London on a â€œfixed feeâ€ basis. Seymour Green have managed my rental property in Putney for the last few years. I have always found their service to be friendly and efficient, including dealing with getting quotes for and managing repairs, safety checks, advertising and working with me regarding new tenants. The staff at Seymour Green are knowledgeable and have kept me up to date whenever issues have arisen. I would definitely recommend Seymour Green.
" We appointed Seymour Green to let our home and have so far been pleased with the results! Colin guided us through the process and has been very helpful and professional. We would be happy to recommend Colin and his team." "Seymour Green (and Harry in particular) were always at the end of the phone if we needed them and helped to make the process as easy as possible. Everyone who engaged with us was professional and went out of their way to find answers when we needed. I would recommend them to anyone involved in the house buying process". "We highly recommend Seymour Green. We used them to let our 5 bedroom house in Southfields and were impressed with their service level and value for money. The value for money speaks for itself, as the firm offers a fixed fee arrangement. We were delighted to find that the quality of service is equally good. Colin Brown (MD) and all of his team offer a friendly, responsive, knowledgeable and experienced level of service with a personal, local touch. This is the first time that we have let a property and Colin and his team guided us through the practicalities carefully and helpfully. They found us suitable tenants quickly and are now proving to be just as helpful with managing the ongoing tenancy. We will use Seymour Green in the future." " We were very happy with the service we got from Seymour Green. 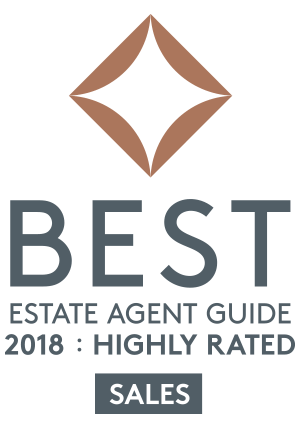 We were attracted initially to the 'non pushy' approach when compared to other estate agents and with very open and honest discussions throughout the process we had a very positive experience. Our process was not a simple one but the team at Seymour Green team worked very hard to ensure that our sale and purchase went through, we would thoroughly recommend them to anyone." As first time landlords, Seymour Green provided us with a first class service in order to prepare our property and find suitable tenants. I highly recommend using them. We recently used Seymour Green to let our 2bed/ 2 bathroom apartment in SW18. They were impressive right from the start providing sensible and practical advice. MD Colin and all of his staff really offer a personal service; they seem equally fair to landlords and tenants. In our case they did a really professional job, finding excellent tenants who were the first people to view our property. Charges are also reasonable and proportionate to the service being offered. I would recommend Seymour Green to landlords and tenants alike. Seymour Green was recommended to me, and I am extremely pleased that I used them. I have never been in the position of selling a house before, and I found all the staff I dealt with to be honest, helpful and supportive, taking me through the process with advice and guidance all the way. There were issues to be resolved, which were handled with speed and care. I felt that I was in safe hands. I think that because they are a local company, they understand the market place, and know what they are doing. I would like to thank Seymour Green as a whole and especially Colin Brown and Ben Bullock for the kind and professional way they handled the sale of my flat. I had not ever sold a property and it was a bit overwhelming for me but my hand was held throughout the whole process by Colin and Ben who took care of everything and it will be for ever appreciated. They are a very businesslike company but we also had many a giggle over the weeks. Again thank you all very much for allaying all my fears and just being there for me whenever I had a problem no matter how small. I wouldn't hesitate to recommend Colin Brown and Seymour Green to anyone thinking of selling their property. Having bought and sold property through many national estate agents, finally having an honest broker in Colin, who took pride in his work, gave sound advice, acted with integrity, and managed the process with complete professionalism provided a sharp contrast to our experiences elsewhere. I wish him and his company every success in the future. If only there were more local, knowledgeable estate agents like this, buying and selling property would perhaps not be the awful process that it so often is. We git there successfully and thanks to you and to you marvellous Staff! extrememly professional and kind! I am a very chatty person...but at this point I have only few word to say because you were 'Stunning' and I admit that I did not believe it would have gone so far! and the fact that Spinnaker is gone has left me little emotional...as the good Italian 'girl' that I am! Thank you once again and see you soon!! I just wanted to thank you for all your assistance in this matter. I would not hesitate to recommend Seymour Green to anyone buying or selling their property and felt you gave me sound advice and friendly, professional support throughout the process for which I sincerely thank you, besides which we had a few good laughs which as you know I do enjoy especially when these processes can be somewhat fraught! We are so happy with the choice of using Seymour Green to sell our property, It was at great rates, and the process was short and so easy and smooth. We are very pleased with the all round results and such friendly nature of everyone involved. I would highly recommend using them in the future. We selected Seymour Green for our recent sale/purchase and it was a very good choice. There were a significant number of properties in the chain, and the process was managed by Seymour Green in an excellent, seamless and very professional manner. When we were looking for an agent to let and manage our house we wanted a small, local firm who would use local tradesman and generally have their client's best interest's at heart. We got all of that with Seymour Green and know that our house is in safe hands whilst we are out of the country. It's not until you start the process do you realise what a daunting task selling one's house can be. I cannot thank you enough for your patience and help over the last few weeks which gave us the peace of mind knowing you were always there to guide us through the procedure. As you are aware this was our first move for over 37 years so your reassurance and expert knowledge made life so much easier for us. Rest assured we will have no hesitation in recommending Seymour-Green to others. We have just sold our 4 bedroom house in Southfields through Seymour Green. Colin, Adele and Jamie ensured that our move to a house more suited to our growing family within the area remained as stress free as possible. From start to finish we were delighted with the level of service we received. The detail and approach Seymour Green have to their marketing particulars and their very thorough viewing style helped us secure multiple offers for our property. We were then most impressed with Colin's ability to identify and recommend the strongest buyers for our house and use his wealth of experience to guide us through to completion seamlessly. We still can't believe that we managed to undertake our move within 3 months from start to finish and truly believe that that was largely down to our choice of estate agent. We plan to stay in our new house for the long term but if and when we sell, we would have absolutely no hesitation in using Seymour Green's services again. Colin, Adele and the team at Seymour Green were fantastic when we decided to put our property on the market with them. The service was always professional but also personal and relaxed. Colin and Adele were always available when we contacted them and ultimately we would credit them with our achieving the price we did. As we live out of the area we found Seymour Green Estate Agents, Southfields by 'googling' testimonials in SW18 and here I am now writing one! We have received excellent service with this agent who has let our flat to tenants and subsequently sold it for us. They kept us informed of the sale process at all times and most definitely acted in our interests throughout, I would have no hesitation in recommending this agent to anyone as they are independent and experienced which is hard to find these days! We'll definitely recommend you guys to anyone we know of who needs an agent. I was delighted with the tenant-finder service provided by Seymour Green. They were utterly professional and efficient throughout, talking me through all the necessary stages, and swiftly found me tenants I could not be happier with. Seymour Green persevered with selling our flat in a difficult market and kept up viewings until we got a sale at a fair price. We switched to Seymour Green having struggled with another agent who let people in for a viewing without our prior knowledge. Being with a smaller more local agent means you get real personal service and excellent communication which eases some of the stress involved in moving home. We love our new home and are really grateful for the service we got from Seymour Green. We've been very happy with the service we've received from Seymour Green. Everything has gone without a hitch. Our Seymour Green experience has been a refreshing change from other estate agent experiences we've had! Our neighbour recommended we try Seymour Green when we were selling our house, and we were very pleased with the service we received from them. Colin and Adele were very organised, they kept us in the loop at all times and they were great at getting potential buyers through the door. We will definitely recommend Seymour Green to our friends next time they move. Thanks to Paula and Colin for making our move to our new flat so easy. We had a delay when moving due to references taking longer than usual, both Paula and Colin were extremely understanding and kind to make our move as trouble free as possible. 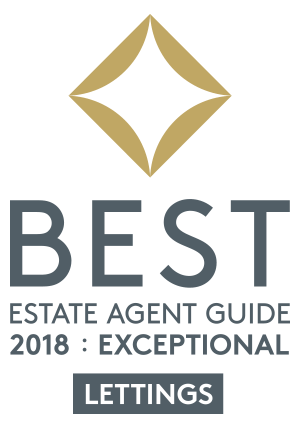 Seymour Green are also the most efficient Estate Agent I've dealt with when carrying out any maintenance work in a rented property. All problems have been turned around in 24-48 hours and if they weren't Colin continued to keep us informed of progress. I wouldn't hesitate in recommending Seymour Green. Please forgive me for not writing sooner to thank you for all your help and patience in organising the sale of my stepfather's home in Tooting. In addition to getting a great price you went over and above my expectations in guiding my mother and stepfather through the whole process. They are now settled in their new home near Bristol and my mother often asks after you so clearly you made an impession. I look forward to recommending you to colleagues and contacts alike. Seymour Green was outstanding in their service to us and our tenants. Having never rented out a flat before they took time to explain all the details/process and were always willing and very efficient in answering questions. All of the staff were very friendly and took their time whilst maintaining a very professional approach. They made the whole process very smooth and within a week our flat was let out at the rental value they had suggested. With having a fixed fee system there is a higher degree of integrity for both parties involved. I would only recommend Seymour Green. We are very grateful for the marketing and successful sale that you conducted for us, of our house in Southfields. The service was discreet and professional. Your pre-qualification of potential buyers meant we were not over run with viewings, although there were plenty. I feel we were able to work collaboratively to get over the inevitable challenges of securing a sale and moving. You did a great job, at a very reasonable fee and we would have no hesitation in recommending you to others. Colin and Paulina, the new tenants seem really nice and are delighted with the house. I wanted to say a big thank you to you both for finding them so quickly and achieving the target price. It was a pleasure doing business with you, as you know I have used one of the big agents in the past and you were better than them in every regard. Not only were your fees about 50% less then I have paid in the past the quality of service was fantastic, Paulina was very responsive and helped me with a number of things that were outside your usual scope of services which made life much easier for me. I will definitely be using you guys again and I have and will continue to tell others what a great job you do. I recently used Colin Brown of Seymour Green to market and sell a property and can highly recommend his services. Colin is very professional, highly knowledgeable, wise beyond words and the most credible estate agent I have encountered. Colin stands out in the crowd of estate agents and his flat fee billing structure is incredibly competitive. Seymour Green is a class act, and I would unreservedly recommend to others seeking to let a property in London. The actions of Colin Brown went above and beyond the call of duty in not only finding us a delightful property to move into, but also helping us find a replacement tenant to allow us to move out of our previous address. Without doubt a cut above the rest. This is the second time I have hired Seymour Green to let my flat. On both occasions the flat was successfully let within a week of being put onto the market which was very impressive. Living outside the UK, it is important you can trust someone with your property, ensuring it is let and managed correctly. Colin takes good care to ensure your flat is promoted well, taking professional photography. He ensures you are kept up-to-date throughout the process right up to meeting the new tenant at the flat and checking them in. 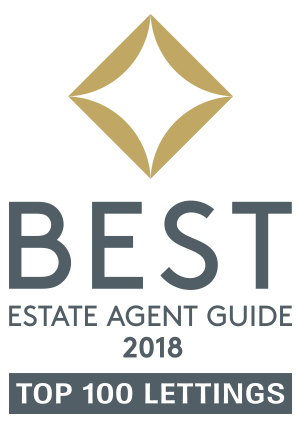 A very good service all round and the most impressive part are the fees, which are a fraction of the cost that traditional high street agents charge. Many thanks for your email. I will definitely be recommending you to any friends looking for help in renting their property. It's been a pleasure working with you and the service has been excellent - much better than going through the main estate agents! I had been trying to sell my property through two local estate agents for eighteen months and although I had some forty viewings and had reduced the price to comply with the advice I received from those agents I did not receive any sensible offers. A close friend recommended that I contact Colin Brown of Seymour Green for advice, he also gave me Colin's web site address where I read the many testimonials that Colin shows on his site. I made an appointment with Colin for him to visit my property and he attended bringing with him a carefully researched package that he had prepared in respect of my property which he used to demonstrate to me that the main problem with the sale was that the property was overpriced. I substantially reduced the price in accordance with Colin's advice and within three weeks received three offers one of which exceeded the asking price. When the sale was delayed due to the solicitor for the buyer who was not dealing expeditiously with the answers to the various enquiries the solicitor had raised; Colin stepped in and explained the problem to the buyers so as to enable to sale to complete with the minimum delay. Seymour Green was not a local agent in respect of my property but using the internet advertising sites such as Rightmove and Primelocation and his many contacts this proved to be an advantage, as the number of viewings was reduced to serious buyers only. Needless to say I was very pleased with the final outcome and hope that the buyers are similarly happy with their purchase. Colin has a great business model for the residential lettings market that greatly undercuts the unfathomable and large fees of mainstream estate agents. We have been very happy with the services provided by Colin, both in terms of his attention to detail and ability to negotiate on our behalf. I recently sold my flat in Battersea. Colin provided an excellent all-round service for a price which represented very good value. On first meeting Colin it became immediately apparent that he was a cut or two above the average estate agent. He took the time to listen closely and gave honest and clear advice. His communication throughout the selling process was excellent. Any difficulties we came across during the sale were calmly and effectively dealt with. He established a good relationship with the buyer which was a real advantage in securing the sale. Colin's experience in the industry is clear to see and a real and rare asset. I have no hesitation in recommending Colin and his company to friends. The level of service he can offer is clearly superior to that of other agents. We had a rather complex sale and decided that we needed the someone who knew the area and would be able to give both the prospective buyers and ourselves personal attention through this stressful process. Our confidence that Colin was the right agent for the job was proved on more than one occasion as we all navigated the tangle of the details of making the sale happen. When we had some communication issues we were all able to work them through professionally and quickly. Both ourselves and the purchasers were delighted with the successful completion of the sale. Thank you for your part in this Colin. I have been very impressed with the service provided by Seymour Green. The day my flat was shown on the internet I had someone who wanted to come and see it and within five days I had a firm offered, which I accepted. The very reasonable fees helped me save a great deal of money. Colin at Seymour Green has delivered an excellent Management and Letting service for our 4 bed house in Southfields. Colin has been professional and diligent and his fixed fee model has helped save us real money. I would highly recommend Seymour Green. Before I have always used larger agents but the level of service I got from Colin Brown was fantastic as was the attention to detail. What is more the sale, once agreed, was followed through properly. All too often agents are busy lining up their next deal and you hear nothing until contracts are exchanged. But Colin liaised with the solicitors and arranged a meeting with the purchaser. Everything was transparent and there were no grey areas. As a result the process was so much less stressful because we all knew where we stood. Colin listens, observes, understands, implements and delivers the result you want. He is a great communicator and we had excellent feedback from every viewing on the flats in Brookwood Road SW18. The result was a rental offer that both we and the new tenants are very happy with. Last Autumn, we decided to put our house in a lovely road in Earlsfield on the market with a number of local agents. This was unusual for us as in the past, we had only ever sold though sole agency, however we felt that maybe a little bit of competition in a tough market mightn't be a bad thing. One Saturday we had a knock on the door from Colin who asked us if we would consider adding him to the list of agents representing us - he had seen our details on line and to be honest we liked the fact that he had the motivation to personally contact us. We were impressed with his straight talking, his knowledge and experience within the business, the fixed fee idea and the fact that he was starting a new business from scratch and we felt we would like to support him. To be honest though, we didn't rate his chances of success as he was up against some serious competition. However, it was a real case of the hare and the tortoise. The other estate agents, who, to be fair put in a lot of hard work, bit by bit fell by the wayside, after the initial flurry of activity, but Colin's persistence shone through. We would like to stress that the manner in which he conducted the whole sale of our house was totally refreshing. We always felt that we could trust him and that he was acting in our best interests at all times. Indeed when we had accepted an offer on the house it was Colin who suggested we meet the prospective buyers to inject a personal touch into the proceedings which not only created confidence on both sides but also took a lot of the uncertain emotion out of the transaction. He managed to execute a perfect diplomatic 'dance' between vendor and buyer which we feel was integral to the successful sale of our house. He also took the time to get to know us as a family and what we might require moving on - for us moving into a rental property before buying again. Here, again, Colin came up trumps finding us the perfect rental, which suited our family and situation down to a tee, even with a garage, as he knew we had a fair amount of stuff in storage! If selling your house can be at all pleasurable, Colin made it so! The sale of one's house is well-known for being one of the most stressful experiences people can undertake in life. Thanks to the efforts of Colin Brown and Seymour Green, however, I wouldn't hesitate to recommend him and his estate agency to anyone thinking of selling their property. Right from the start, Colin guided us through the process, ensured that we were kept in touch with all developments and made us feel that he was acting in our best interests throughout. This had not always been the case in other house moves, where we had often been left uncertain as to who was uppermost in the priorities of the estate agent - the buyer or the seller. Having said that, Colin was able to establish an excellent rapport with our buyer and this, we feel, was one of the elements - along with a feeling of complete trust in Seymour Green and Colin Brown on both sides - that safeguarded the smooth, speedy sale of our property. In short, nothing was too much trouble on Colin's part and I wish him and his company every success in the future. On the basis of our experience, they deserve it.